ESME is proud to feature HOW (Housing Opportunities for Women) and its important work to find permanent solutions to homelessness. Operating under the Housing First model, it strives to house women and their children as quickly as possible and then work to provide tools for self-sufficiency. Currently, HOW primarily provides scattered-site community housing for women and children who are homeless in the Greater Chicago area. It serves 450 individuals and families—a total of 1,200 people annually. Funded by the United States Department of Housing and Urban Development (HUD), state money, and private foundations, HOW endeavors to help as many women and families as possible. HOW is constantly changing and evolving to meet the needs of homeless families. 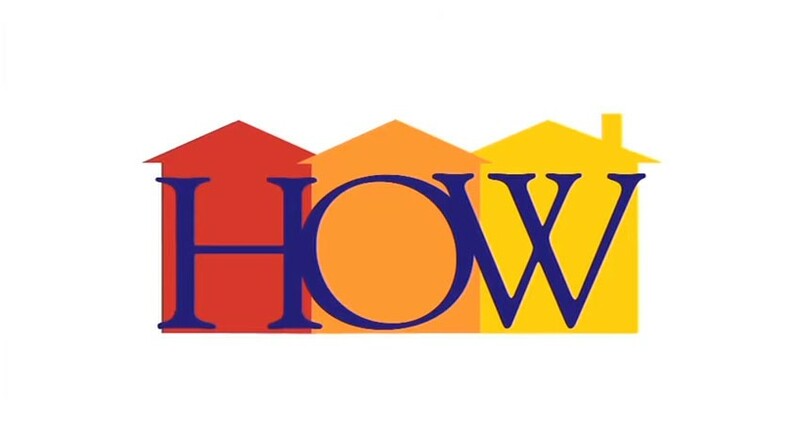 In addition to actively linking clients with a wide array of services, including medical services, mental health treatment, substance-abuse services, and employment programs, HOW now offers academic coaching and summer camps for children who reside in HOW housing. Its dedication to women and children facing homelessness is founded on the philosophy that housing is a right, not a privilege. Watch this video to learn more about HOW and the amazing work it does in the Chicago area. ESME had a chance to interview Solo Mom Mary Ann Stott, director of support services, and Jessica Scott, case manager, about their work at HOW. The interviews reveal some of their greatest challenges, their most memorable clients, and their dedication to eradicating the scourge of homelessness. Mary Ann Stott, LCSW, has been the director of support services at HOW for the past 12 years. She has been a Solo Mom to Annie (14) and Jacob (18) for the past 12 years. Q: How did you get started in this type of work? A: I started my career as a special-education teacher. I have always been drawn to children and have found my perfect niche working with women and children who experience homelessness in the Chicago area. Q: What are some of your most challenging obstacles? A: Keeping funding going, we have to be creative with financing for services. Funding for social-service agencies isn’t often a top priority. We are constantly trying to provide comprehensive services with fewer and fewer resources. We are very appreciative of our supporters and the funding sources that we do have. Q: What has changed since you started working at HOW? A: My understanding of the magnitude of the housing crisis in this country! At HOW, we serve the most vulnerable people—people living in abandoned buildings, under viaducts, living in trains, living in shelters, etc. Over 25,000 people are on a Chicago central referral list for housing, and they are all homeless. Families live doubled up with family and friends, sometimes moving daily; and, of course, this is very disruptive, especially for children. At HOW, we believe that housing is a right for all people! We believe that stable housing needs to be in place first so that homeless families can then work on the goals of self-sufficiency and independence. Q: What is your most memorable situation with helping Solo Moms? A: Recently, a woman entered our housing program with no support for her and her five children. They had been living in an abandoned building, and she was extremely depressed. She could barely speak to us, and what she was willing to share with us was one of the saddest stories I have ever heard. HOW housed her and her children. Her children were enrolled in the local public school. The children began attending our academic coaching program. She is now receiving mental-health services and is feeling much better. She has been attending groups at HOW, and her family is healing together. This family now lives with hope for a better future. Jessica Scott, Solo Mom to four-year-old Jayden, is a case manager at HOW. Q: What are you most proud of regarding your parenting? A: I went to school, have a career, and my son is in a good school. We are stable; however, sometimes, doing things alone can alter the outcome of what you can or cannot do. Q: What is your greatest joy? A: Watching my child grow up, knowing that I am responsible for him. He is a part of me, so dynamic—he is a great kid. Q: What has changed since you first started parenting? A: Patience! Parenting teaches you to be more attentive, regroup, and accept repetition. Q: What did you wish you had known when first started parenting? A: I wish I had known about the mental part of parenting. The financial part is the easy part. The core of parenting is mental: teaching values, morals, responsibility, and how to be a good and upstanding person. I was so naïve; it was bigger than just taking care of him. There is so much that you have to think about. Every detail of parenting will impact your child’s life significantly; it’s not just feeding and clothing him. Q: What’s your biggest worry as a Solo Mom? A: I worry about him being an African American male in this country and not being allotted the same opportunities as others. A: I have to work, and my son needs proper time and attention. I make sure to talk to him, support him in everything, do activities with him, spend time with him, and never take work home. Q: Where do you get your strength and inspiration? A: I get it from God and my son. Q: Why did you get into social work? A: No one can make it by themselves. Everyone needs someone, and we ourselves may need to reach out to others. Q: What’s most challenging about your work? A: Getting attached to people and their lives; I want to see them succeed. You can’t always help every situation, and it is hard seeing the hurt or when there is nothing you can do to help. Q: What’s the most fulfilling about your work? A: The successful clients who started with all the obstacles—started from the ground up and they are now in a good place. The women who have learned from past mistakes, have obtained recovery, and can acknowledge mistakes, even small ones. Q: What is your most memorable situation helping a Solo Mom? A: Ahh, she was very difficult. She wouldn’t comply with anything or anyone. She [is] bipolar and has schizophrenia. She’s now gone back to school, she’s working, her kids went back to school, and she’s taking meds and going to counseling. She understands what helps her. Everyone thought that she wasn’t reachable, but I was able to connect with her. Q: What are the most surprising things about your clients? A: Nothing! They are different cases, but they all have challenges. I have seen everything; it’s sad, but nothing surprises me anymore. Thank you, Mary Ann and Jessica, for your commitment to improving the lives of so many Solo Moms. Visit HOW’s website for more information about HOW and its programs, or if you want to support HOW’s efforts to create opportunities and rebuild lives.